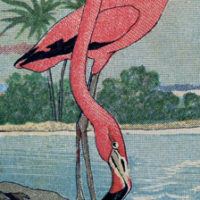 Today I’m sharing this Gorgeous Vintage Tropical Birds Image! 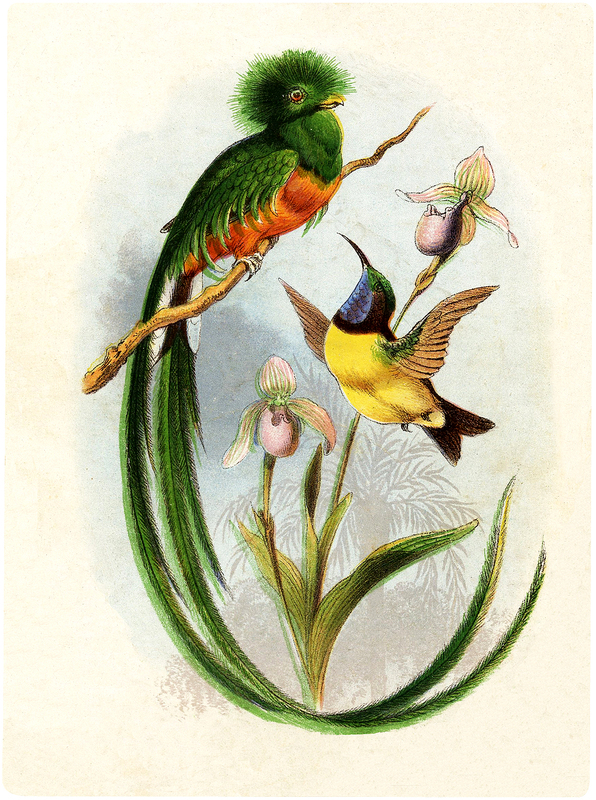 Shown above are two beautiful Exotic looking birds, including one that looks like a Hummingbird. A wonderful old Natural History Image to use in your Craft or Collage Projects! 4 Flamingo Pictures! 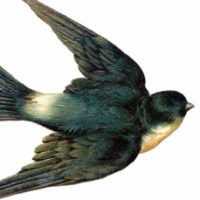 29 Best Swallow Vintage Images! Splendid Antique Split Tail Bird Image! Thanks Maxine, I’m happy you enjoy them! What a unique image! I love the birds and the orchids too. Love the composition. Thank you! You really make my day when I see these gorgeous images appear. Thank you so much for these creations. That makes my day Tania 🙂 Thank you! What a gorgeous image! Being a bird lover, I find these especially lovely. I believe the long tailed bird is a species of Resplendent Quetzal. They have red/blue/green plumage with a 30″ long iridescent blue tail in some species. I was blessed to be in Costa Rica in December and saw tons of exotic birds. This is one of the elusive birds that is not easily spotted. The pair (female/male) were spotted that morning by other groups but no matter how much we moved around/used bird calls etc, we were not lucky to see this unbelievably beautiful bird. May be some day! We saw dozens of species of hummingbirds though. Thank you for sharing these amazing images that bring so much joy to us! These are beautiful, as is everything you send. Thank you so much!! Aw! Thanks so much Pam!